Medicinal Ginger [this is what some of my Thai friends here in Florida refer to it as]. NOTE: Islan is the national language of Thailand. NOTE: A dozen other synonyms are listed at theplantlist.org. 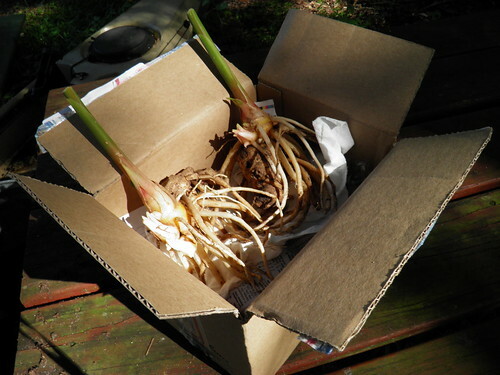 This beautiful edible ginger has thick bright yellow-colored rhizomes that have a hot, spicy, camphorous, sometimes bitter flavor. They are added to Thai and Malaysian dishes. The scent is reminiscent of a mixture of ginger, turmeric, and camphor. Many growers consider this species to be more of a medicinal plant, than an edible one. Some of my Thai gardening friends here in Florida call it Medicinal Ginger. 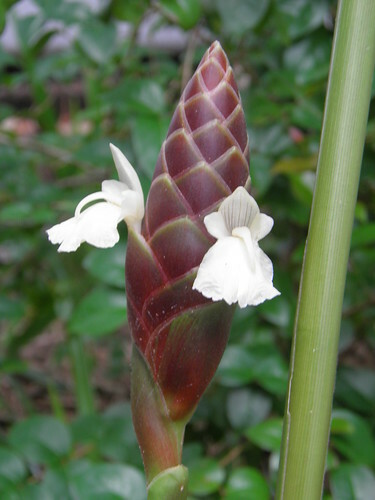 In Thailand, it is incorporated into medicinal massage oils, lending them anti-inflammatory and analgesic properties. 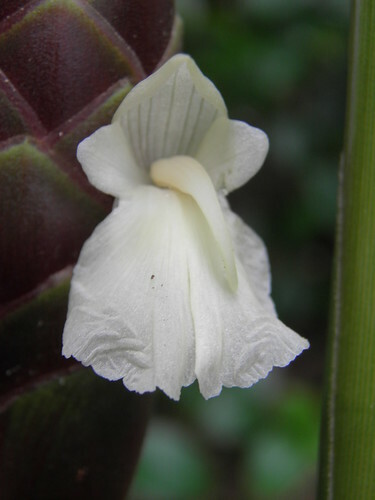 It can easily be grown anywhere across the state and has quite beautiful brownish inflorescences with white flowers. EDIBLE INFLORESCENCE: perennialsolutions [dot] org lists the flowerspikes as having “edible uses.” CAUTION: Being the only web-source for this information concerning the edibility of the inflorescence, it should be confirmed before ingestion. Please contact me if you find confirmation of the flower's edibility, thanks. Mansfield’s Database of Agricultural and Horticultural Plants. Wolff et al., 1999, Jiang et al., 2006, USDA-ARS, 2013].